If you're looking for an all-inclusive getaway, look no further than the 315 Express. 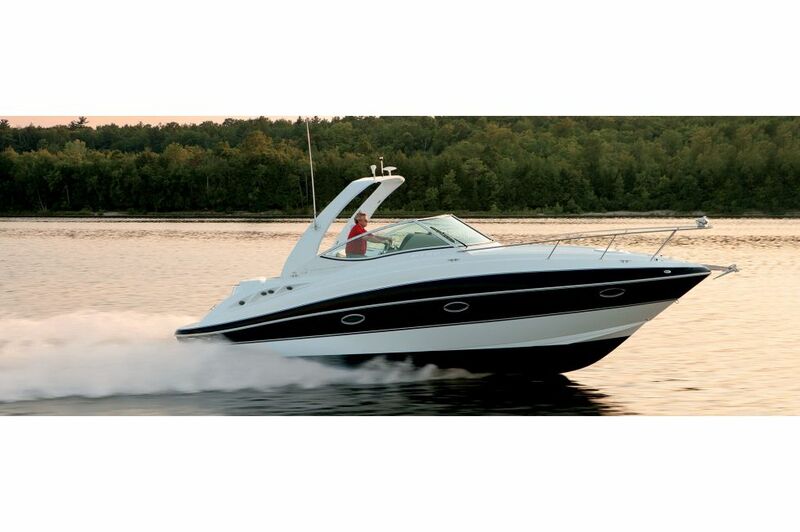 Built exclusively around your comfort and needs, this watercraft is truly the perfect crossover of yacht and sportboat. 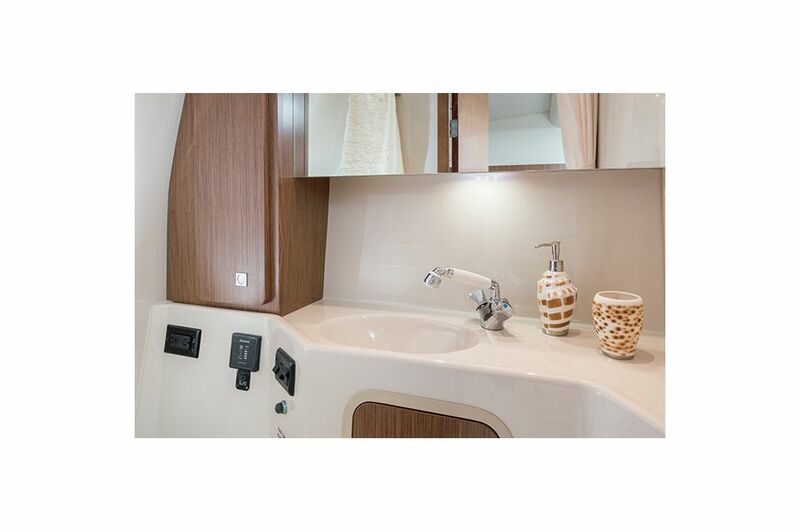 With ample room above and below deck, this boat proves that it truly is about journey, not the destination. It's always good to be the Captain of the ship, but it's never been this comfortable. 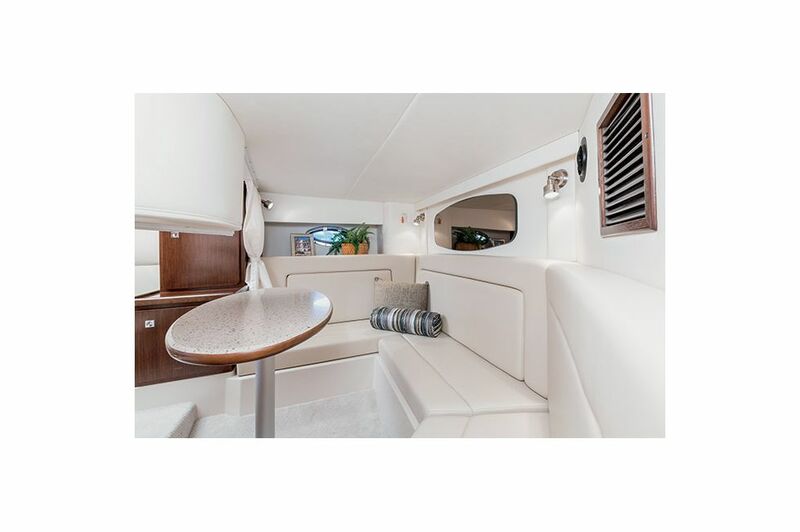 Featuring a double helm seat, companion lounge with cup holders and a removable 25-quart cooler, wet bar, and sun lounge, the party and the ride start in the same place. 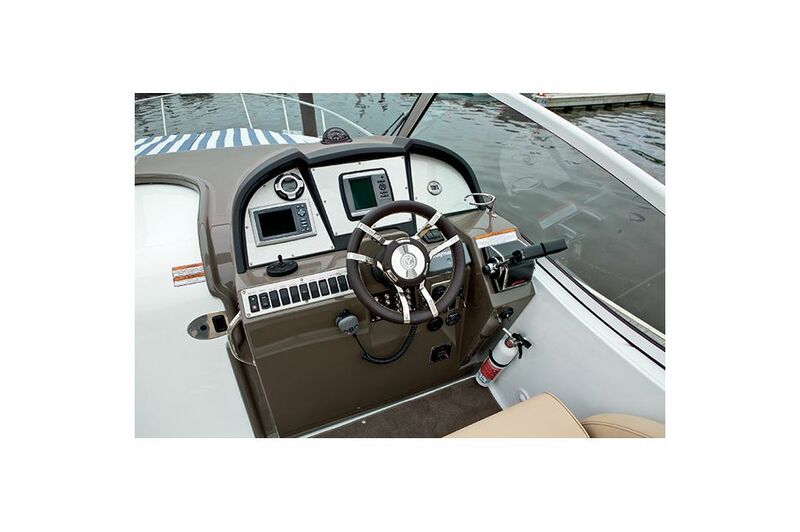 Featuring ergonomic controls, standard GPS, and a walk-through windshield, the intuitive helm was designed to get you where you're going, even if you have nowhere special in mind. Settle in for a few drinks or some great conversation with guests in the 315 Express' fully carpeted salon area below deck! With a spacious dining area, comfortable seating, and 15" LCD TV with DVD player, the inside of this ship may be as fun as the outside! 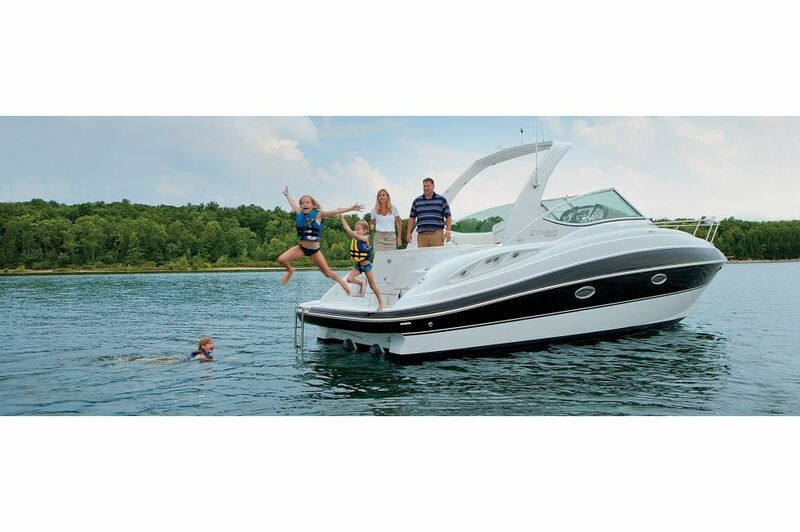 Sometimes the best way to enjoy your boat is by jumping off of it into the water! 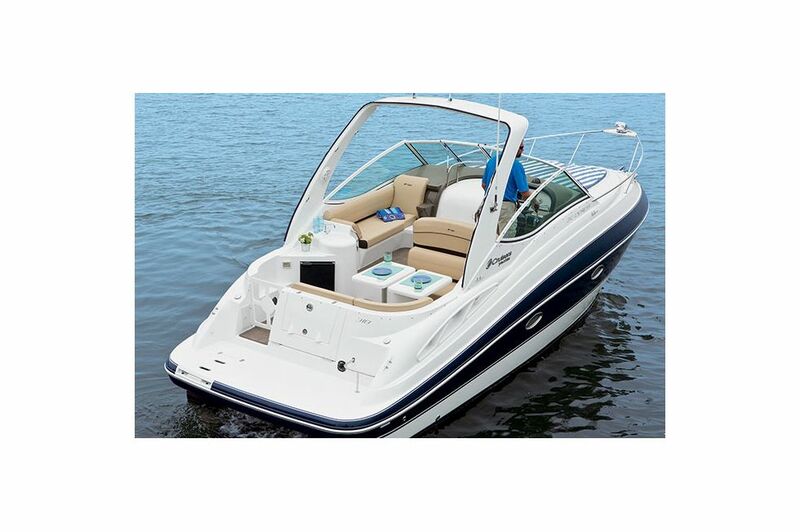 The 315 Express comes equipped with an easy-access swim platform on the back. 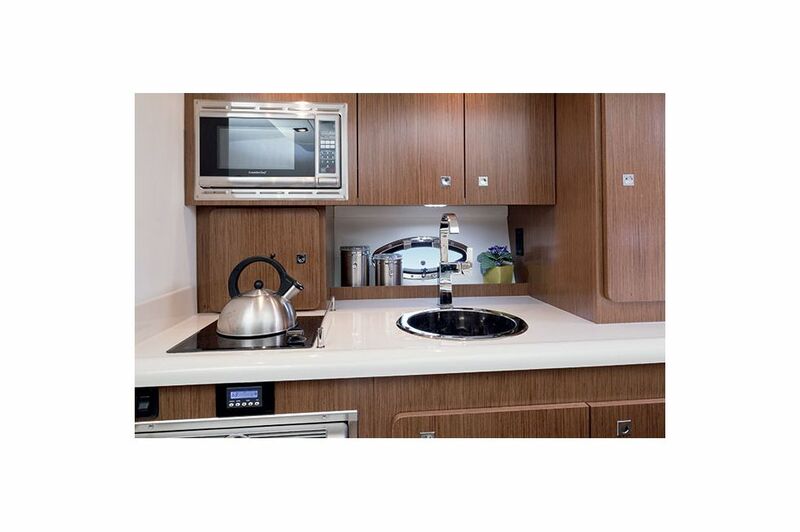 Bring home cooking and associated amenities to sea with the 315 Express' fully-functional galley complete with electric stove, microwave oven, refrigerator, and sink. 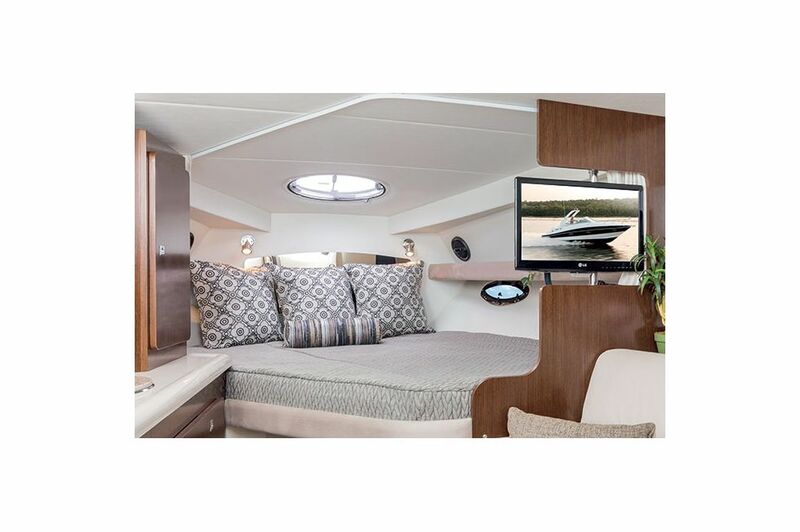 Relax and recharge for the day ahead in the forward stateroom's full-size berth with privacy curtain, clothes locker, and storage locker. It's easy to spend the entire day (or days!) 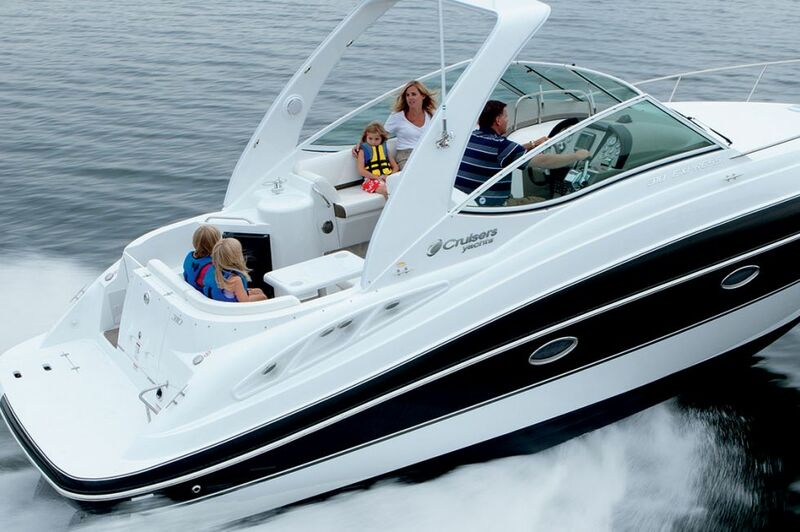 on the water with the 315 Express, as it comes with a spacious head including toilet and sink. The Aft Settee was designed with "the more the merrier" in mind. This plush seating area converts to a large double berth for guests who want to extend their stay.